In the morning we start our journey in an air-conditioned vehicle. 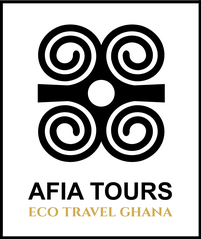 Our first stop takes us to Aburi Botanical Gardens close to Accra, one of the most beautiful and peaceful sites in the area. 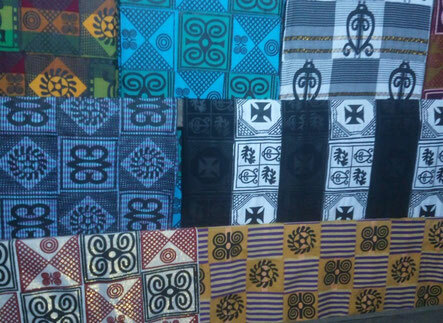 Continue to Aburi Craft Market to view local handcrafts and enjoy the busy market place. Later you will experience yourself the fascinating production site of the famous Cedi Beads factory in Ghana. Cross the Volta River with a canoe and visit a typical Ghanaian village on an island. Meet the elderly and witness the typical village life in this remote area. Spend the night at the banks of the Volta River. After a scenic drive with beautiful views across the rolling hills we will arrive at Asenema Falls, one of the hidden gems in Ghana. Take a break and walk around the beautiful spot. Later we will do a short hike through the beautiful forest in the Butterfly Sanctuary, an eco-tourism center close to Kumasi. 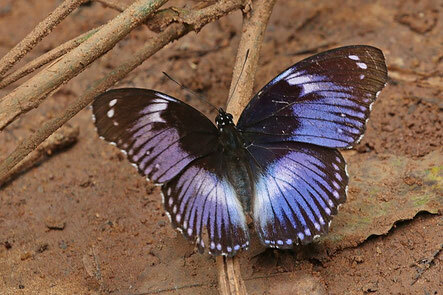 We continue to Mole National Park, Ghana´s largest protected area, to do the afternoon safari. You can choose between walking and driving safari. 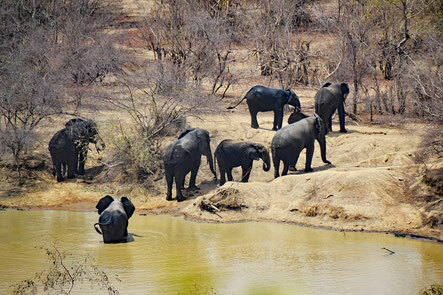 Enjoy the beautiful view over the waterhole in the park from your hotel. Start your day early with a morning safari in Mole National Park. The park is home to elephants, antelopes, hartebeests, waterbucks, buffaloes, water hogs, lions, leopards, hyenas and many others. After taking your breakfast visit the Larabanga Mystery Stone and the mosque, which is believed to be the oldest Islamic building in Ghana. 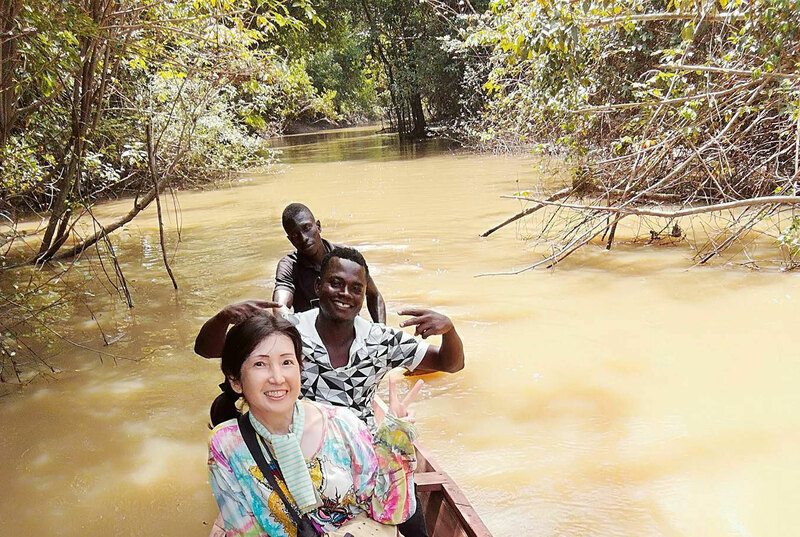 Take a ride with the canoe in the afternoon to view local wildlife like crocodiles, monitor lizards and birds. After enjoying your breakfast in Mole National Park, we will start our day with a trip to the beautiful Kintampo waterfalls, located in the woods. Take a short hike to the falls and take a break to enjoy the amazing nature. Continue to Boabeng Fiema Monkey Sanctuary to view and feed the monkeys. In this small area the monkeys are protected and treated as sacred. We continue our journey to Techiman, where we spend the night. 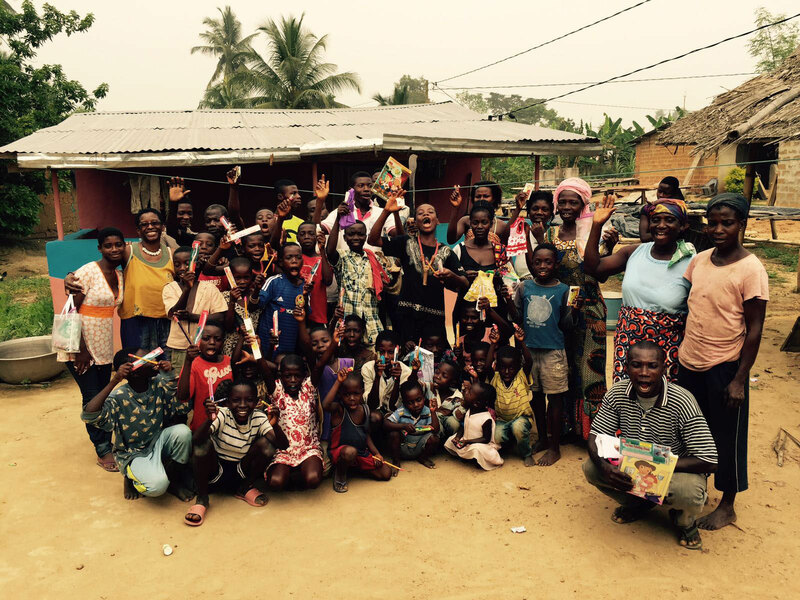 We continue our journey to Adinkra village where you can design your own print clothes. 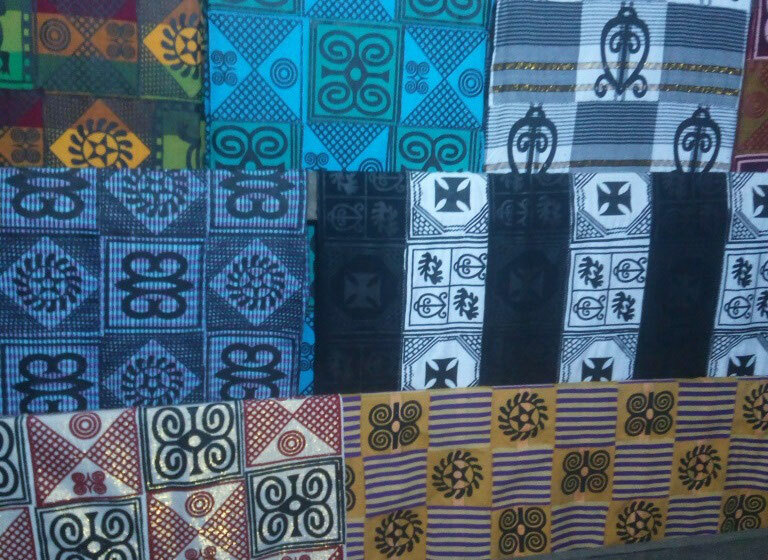 During a workshop you will learn all about the meaning of Adinkra signs and the printing process. Later we will continue to the Ashanti Kente clothing weaving village in Kumasi, which carries on the centuries-old Kente-weaving tradition. 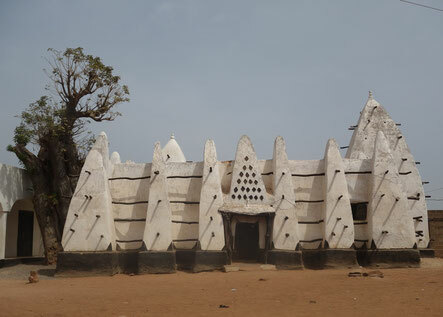 Continue to visit a sacred Ashanti shrine to learn more about the traditional beliefs of the region. 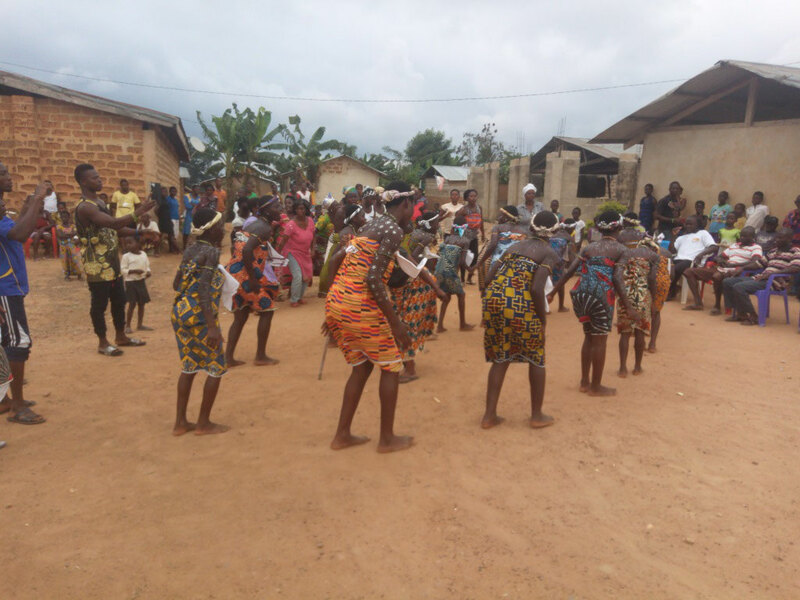 Today we will visit the Akwasidae festivals. Akwasidae festivals are held in Ghana every six weeks, honouring the ancestors and the Ashanti king. 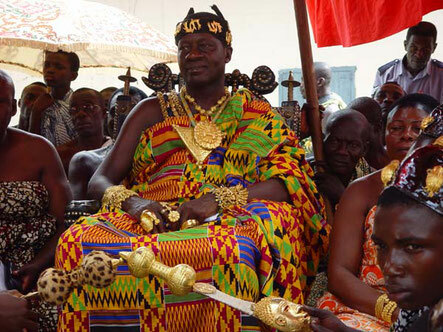 The festival features a golden stool alongside the central feature of attention, the Ashanti King, who is carried on a palanquin through the procession of Ashanti people who have come to pay homage to their King. It is a beautiful and spectacular site, with colourful canopies and umbrellas amongst drummers, dancers, hornblowers and singers who perform in honour of their ancestral spirits. Continue to the cultural centre to view the amazing handcraft. End your day with a visit at the busy Kejetia Market, the biggest market in West Africa with over 45.000 stalls. After your breakfast we will start our journey to the Assin Manso Slave River. This river is where captured slaves from the Northern part of Ghana had their last bath before being transported to the Americas. After learning about this historic site you will visit the home village of our founder, a typical Ghanaian village close to Cape Coast. Be welcomed by the elders and watch a traditional cultural performance by the children and women of the village. Get an introduction to local cuisine by the family and enjoy a Ghanaian lunch together. Later you will be guided to the cocoa plantation, which is the main source of income for the village population. Get a taste of the typical village life while fetching water from the nearby river. Finally we will visit the school project and say good bye to the village population, before we continue our way to the beach in Elmina, where we will spend the night. Take your breakfast in the morning at the beautiful beach site. Continue your journey to Cape Coast Castle, which was used to hold slaves before they were loaded onto ships and sold in the Americas, especially the Caribbean. Later you will visit Fort Victoria, which gives you a great view over the city. Visit an Eco-Tourism community in the afternoon and choose between a batiking, drumming or cooking workshop. Relax at the beautiful beach site in the afternoon. 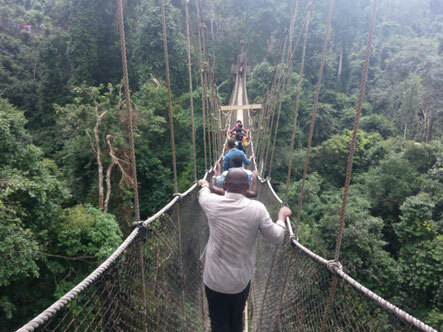 After spending a night at Elimina in Ghana we will continue to Kakum National Park to enjoy the view from the Canopy Walkway over 7 bridges & tree tops at 40m height. Take a picture in the Crocodile sanctuary that crocodiles and turtles inhabit together with a range of birds. Visit the Stingless Bees Centre to learn about their role in traditional medicine. Continue your journey back to Accra and drop at location of your choice.